Ça-y-est! Finally arrived in Paris after much preparation, a bit of anxiety and frustration. Overall it was a painless process, I consider myself fortunate that every step went smoothly. From obtaining the visa, to vacating the apartment in New York, selling belongings, packing and shipping. And most importantly, receiving everything in Paris without significant damages. The first few weeks felt like a flash. Sleeping on the floor while waiting for the shipping company. 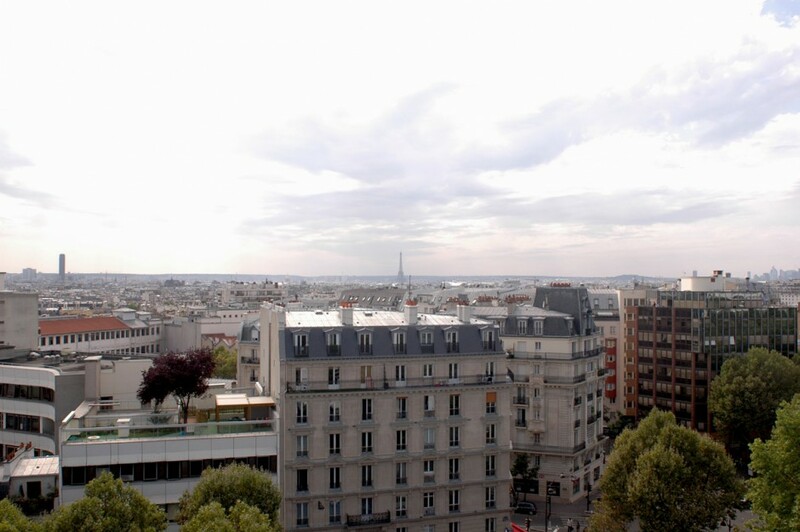 Doing a lot of renovation on the apartment, visiting friends and family, “reporting” myself to the OFII (French Office of Integration and Immigration), filling out all kinds of paperwork and attending a number of required, day-long seminars about life in France. But yes, also made a point to do some sightseeing, reacquainting myself with all the usual spots, smells and sounds of Paris. In short, all the little things one must do when relocating to a new city. A significant and happy day arrived when Internet access was installed. I could finally pick up and continue working on El Globalito. For now I continue with the integration phase. Improving my French, observing, learning and enjoying the new environment. Also, It was important to continue doing the small things, those that may seem insignificant but bring you joy and make all the difference. Like playing football(soccer). Thus it was essential to find things like: a park with the regular football game, the neighborhood swimming pool, a good bar, the favorite bakery and market, galleries and music venues. Unfortunately, soon I’ll also have to find a dentist. Like I told somebody at one point, the only thing I miss is good authentic latin food. But food is the last thing one should complain about while in France. “I’ve heard it’s really difficult as an outsider to settle and feel comfortable in Paris” is a comment and question one hears often. I can see how that is partially true. Generally speaking, compared to Latin America and cities in the US I lived in, people in Paris are not that open and warm toward strangers. Especially if you don’t speak their language. I have the unfair advantage of already having friends and family here, via which it’s been easier to meet other people. It’s a cliché but so true, every place and situation has its positives and negatives. For me, France has a lot of positives on a personal and professional level. The not-so positive characteristics, I will choose and try to have a positive influence over them. It’s not always easy, we all have those days when you just can’t bother and don’t give a sh*t! More posts on the subject will follow, I’m sure. For now, back to El Globalito, improving my French and knowledge of l’eau-de-vie.